Lamppost Poppies – Thank you! 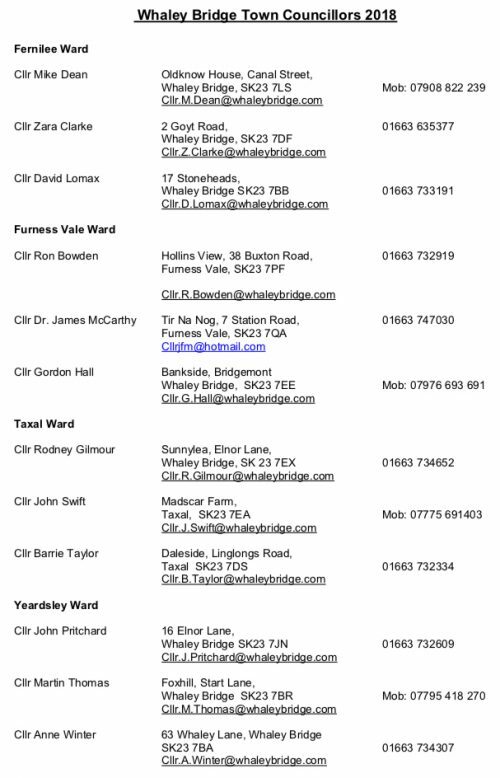 Many people will have noticed the large lamppost poppies which went up throughout Whaley Bridge and Furness Vale on the 31st October to commemorate the centenary of the end of World War 1, and to remember those who lost their lives in conflict then and since. The project was organized by Whaley4Wards and 110 poppies were sponsored in total. 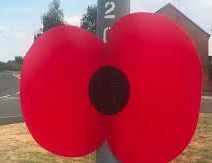 These poppies were sponsored by individuals and businesses for £10 each, raising a massive £1100 for the Royal British Legion to carry on their work.To put this sum into context, 36 parish councils took part in a RBL lamppost poppy scheme last year in Derbyshire, raising £4223 in total. Thank you very much to all the sponsors who are listed HERE. 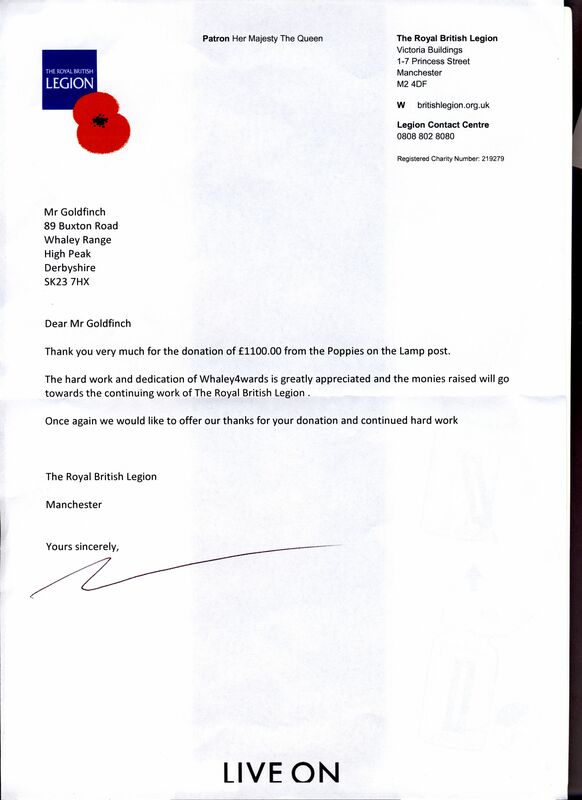 The £1100 raised has now been paid to the Royal British Legion, and the receipt is below ,alongside a letter of thanks from the Royal British Legion.